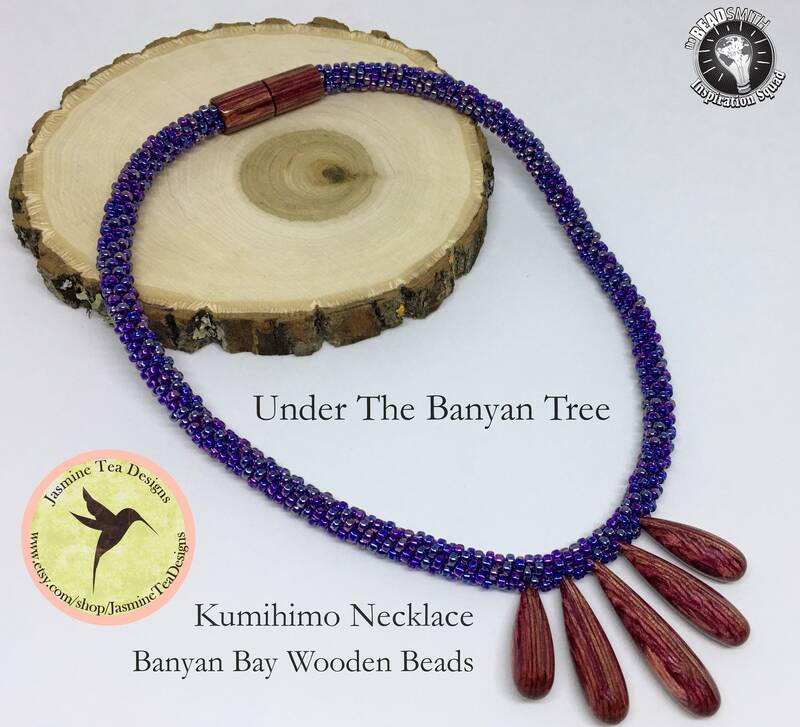 Designed by Linda Richman this necklace feature the beautiful hand carved wooden beads and magnetic clasp by Banyan Bay Studio. 'Under The Banyan Tree' measure just a little over 17 inches and has a magnetic clasp. Birch veneers are dyed and laminated together to create these beautiful components. The braided rope are Miyuki purple line amethyst aurora borealis seed beads.